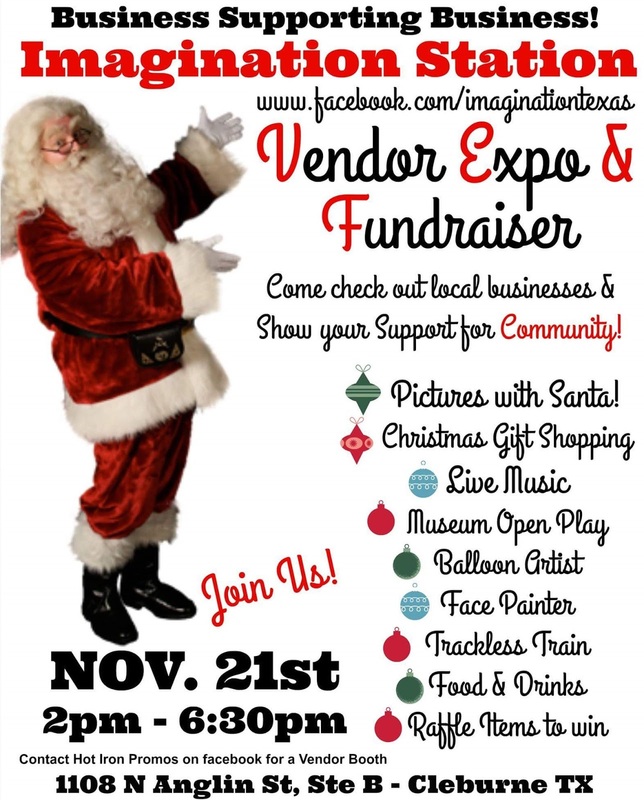 "Handmade art & crafts including leather purses and satchels, painted eggs, a variety of jewelry, shadow box wall art, kiddie hiking sticks, Christmas gift tags, collectible tree ornaments, trivets, oils, and morel related items from Wild Organics will be available for purchase at the Vendors’ Room in Hope. Entertainment, activities and other events will be ongoing as well." This fee includes 8 ft table per 10x10 area, 2 chairs, free electric, wifi and parking. They will also insert 100 coupons, show specials, samples, etc. into the swag bags. Vendor must provide 100 inserts by 9 am on Sat. Applications are available here and are due by January 25, 2016. 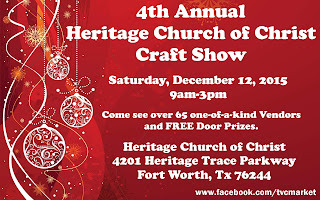 "Come out to Heritage Church of Christ 4th Annual Craft Show. We have over 65 fabulous vendors with a wide variety to shop unique Christmas presents, decorations and other gifts on Saturday. Admission is free and will have door prizes given away every 30 minutes from our great vendors." "A wide range of fabulous handmade and vintage finds are expected at this year's Happy Holidays Gift Market. Talk with the local artisans and collectors while shopping for unique gifts for those on your list and something special for you too. Admission is free and there is free parking in downtown Arlington." "Just in time for the holidays, this arts and crafts fair will put everyone in the giving spirit with creative crafts and a festive atmosphere." "Woodrow Wilson Elementsry's 2nd Annual Arts & Craft Show/Vendor Fair DECEMBER 12, 2015. 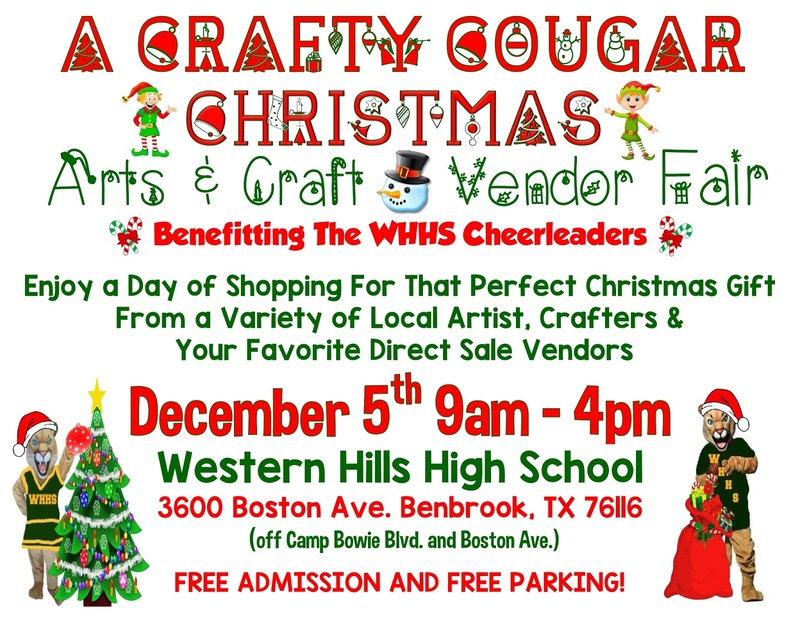 Come out to see a HUGE array of crafters and vendors to knock out that holiday shopping list in no time!" "Come Sip and Shop! Bishop Dunne's Catholic H.S Boys Basketball Team- Presents there 2nd Annual Craft Fair. Come Shop til you drop." "The Burleson Elk Strutters 8h Annual Craft and Health Fair will be on Saturday, December 12th at the Burleson High School. We are striving for 80+ vendors this year along with a full days worth of local performers, pictures with santa, and much more." 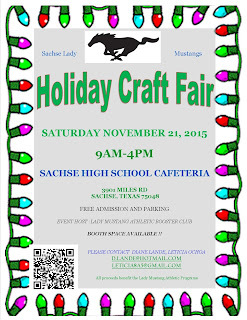 "Join Us - December 12, 2015 for the Kennedale High School Band's 13th Annual Craft Fair & Breakfast with Santa event. Great Crafts, Gifts and Goodies available.. You can also have your photo with Santa taken at the "Santa's North Pole" area. We will have face painting, games, crafts and more! DON'T MISS THIS GREAT EVENT! EXTENDED HOURS allow you to shop for some great holiday gifts and decorations. 9:00am - 3:00pm." Bring Money for shopping, games, concessions and more! "We are hosting our first LHS FAME Holiday Bazaar fundraiser. We are inviting all to come out and shop with us for Christmas gifts. We hope to have games for the children and pictures with Santa." "The Christmas Bazaar is almost here! Breakfast and lunch are available during the bazaar. From 1-3 p.m. on Saturday, Santa and his elf will be here for picture taking. Bring your cameras. Also, from 1-3 p.m. while parents are shopping at the bazaar, supervised arts and crafts will be available for children." "Run it, walk it, skip it… Just don’t miss it!!! Naaman Forest High School 7th Annual JINGLE BELL 5K RUN Downtown Garland Square. A great way to kick off the holiday season! 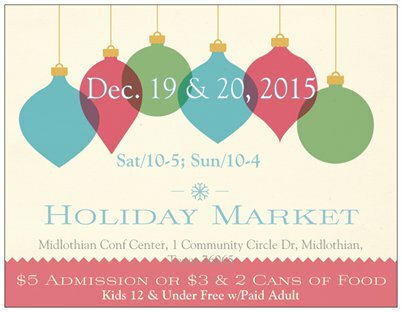 Vendor Booths & Family Fun!!!" "Annual Honeycomb Holiday Market - Holiday shopping at it's FINEST!! Join our BHS Honeycomb Drill Team and SHOP TIL YOU DROP! 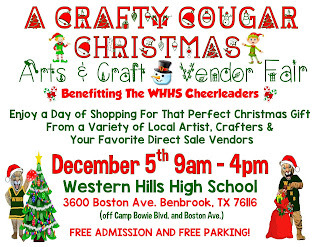 Over 100 area crafters and home based business will be available to help you finish you holiday shopping. 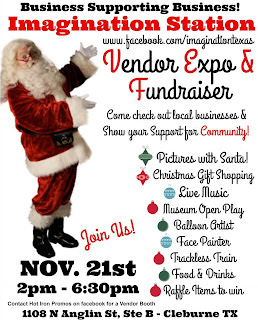 Pictures with Santa and the Honeycomb Elves, baked goodies, concessions and gift wrapping will also be available!"" Admission Fee: $1 admission or 1 pantry item to benefit Communities In Schools at Brewer High School. 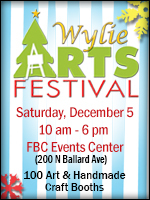 "This craft fair will feature multiple direct sales vendors, handmade items and lots of great Christmas gifts. Be sure to come with your Christmas lists ready! There will also be a silent auction including Kendra Scott jewelry, rounds of golf to local courses, sport tickets and much more. ALL proceeds from this event will be donated to assist two local families who are currently receiving cancer treatment. We thank you all in advance for support and wish you HAPPY SHOPPING!" 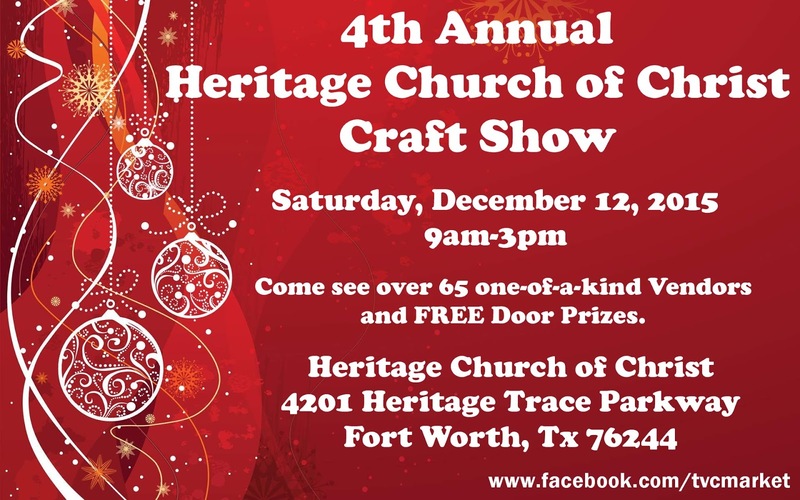 "Christmas Gift and Bake Sale – Free admission! Do your Christmas shopping in Sunnyvale this year! More than 20 local arts and crafts vendors will be set up in the Sunnyvale High School cafeteria." 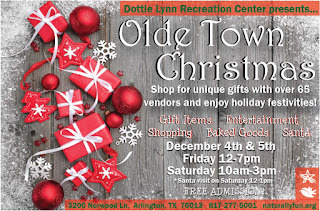 "All ages can visit with the jolly old elf on Saturday, December 5th at the Olde Town Christmas annual craft fair. Take a family picture with Santa while the kids discuss their wish list. You can shop for a special gift that will make the holiday memorable. The smells of homemade goodies will fill the air, music of the season will surround you, and the newest ideas in holiday craft decor and gifts can be seen and purchased at this fun-filled family event held at Dottie Lynn Recreation Center. Admission is free and concessions will be available all day." For more information, visit their website or contact their event coordinator at gemoss3@gmail.com / Robin 972-343-8596 or Georgeann 214-533-3457. "Shop local small businesses, crafters, and artists all in one place! Find unique and wonderful holiday gifts! Shop small, local, and handmade this Christmas!" Booths are 10 X 10 and cost $50 plus $15 door prize donation. Table rental available for $5 extra. 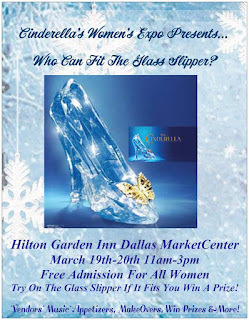 For more information, contact their event coordinator at Kareahwakeland@yahoo.com / 817-368-0789. Applications are available here and are due by December 7, 2015. For more information, visit their website or contact their event coordinator at lhsfamebazaar@gmail.com / Kim at 972-998-9798 / kimteamer322@hotmail.com. "Come join us for our fun filled Christmas Wonderland Bazaar! 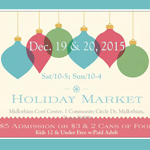 Come out and enjoy some great shopping from local artisans & crafters. Our Christmas Wonderland will have amazing fun activities for the whole family to enjoy. Cookies, Christmas Décor, story time, holiday baked goods, Christmas Carols and more. Come take your picture with Santa on Saturday." Booths are 10 X 10 and cost $50 for the two day event. To rent a table it's $5 and you can choose a 6' or 8' table. Electricity is $5. Tableclothes will be provided by request only. For more information, visit their website or contact their event coordinator at antonetkruse@yahoo.com. Cinderella BallRoom Exhibitor (Booths Inside Ballroom), are a 6Ft Table w/2chairs, white Table Cloth, 2 Exhibitor Badges, with wifi and electricity access and exhibitor meal. Your logo or link will appear on the Expo website. These booths are for Independent Vendors & Direct Sales. 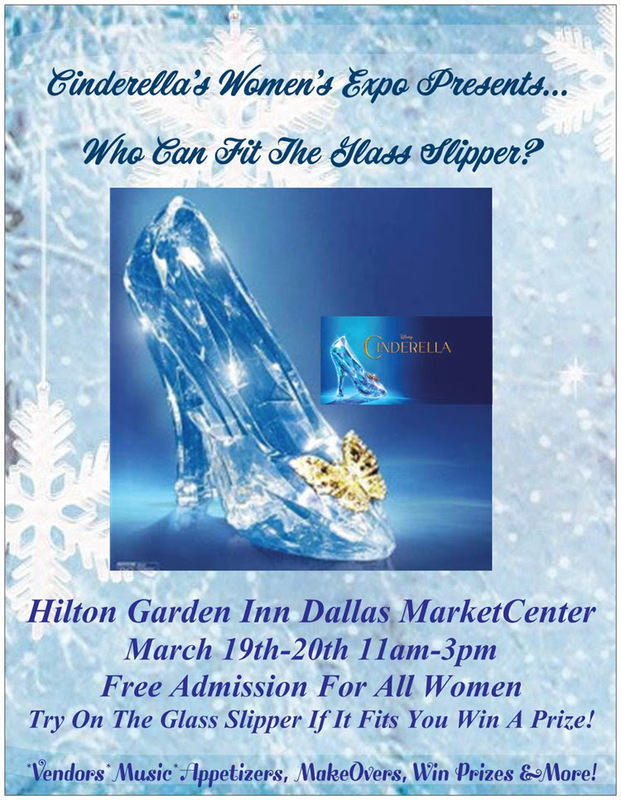 Vendors who sign up between 2/9 - 2/25 will receive a $25 Victoria's Secret Gift Card, $25 Visa Card, or $25 in business product purchased. They are looking for Women Jewelry Vendors, T-shirt Vendors, Pink Zebra Reps, Pampered Chef, Tastefully Simple Reps, Tupperware Reps, Avon Reps, Dove, Thirty-One Reps, Stampin Up Reps, Velata Reps, Charmsations, Simply Aroma, Jewelry In Candles Any Female Arts & Crafts Vendors Who Sell Homemade Items, Jewelry, etc., Female Exhibitors In Marketing,Planning, Financial Services Or Insurance. 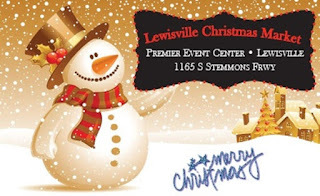 "The Holiday Shopping Expo will be help at the Mesquite Arena in Mesquite, TX. There will be over 100 arts and craft booths, Christmas Decorations, bounce houses, carriage rides, kids games, raffles, and a food court. Admission is free as long as you bring canned goods, clothes, coats, or $2. All proceeds will go to Sharing Life, a community outreach program. " Admission Fee: Donation Based: canned food, clothes, coats, $2. All proceeds go to Sharing Life, a community outreach program. "Get a jump on your holiday shopping and find that special something for everyone on your list. Gourmet goodies, home décor, jewelry, crafts and gifts. Come for the crafts and stay for the classic cars, trucks and motor cycles!" For more information, visit their website or contact their event coordinator at rosemarym@stcatherine.org / Rosemary 972-492-3237 ext 113 or Sylvia 972-394-8992. Shoppers range in age from 18 to up 65+, with the bulk of our attendees being between the ages of 35-55 years old and mainly women. They typically see an attendance of 3,000 people from open to close. Their advertising efforts include, social media, paid Facebook advertising, direct mailers, community outreach and radio advertising. For more information, visit their website or contact their event coordinator at info@pinitexpo.com / 281-770-1888 (email is preferred method of contact). 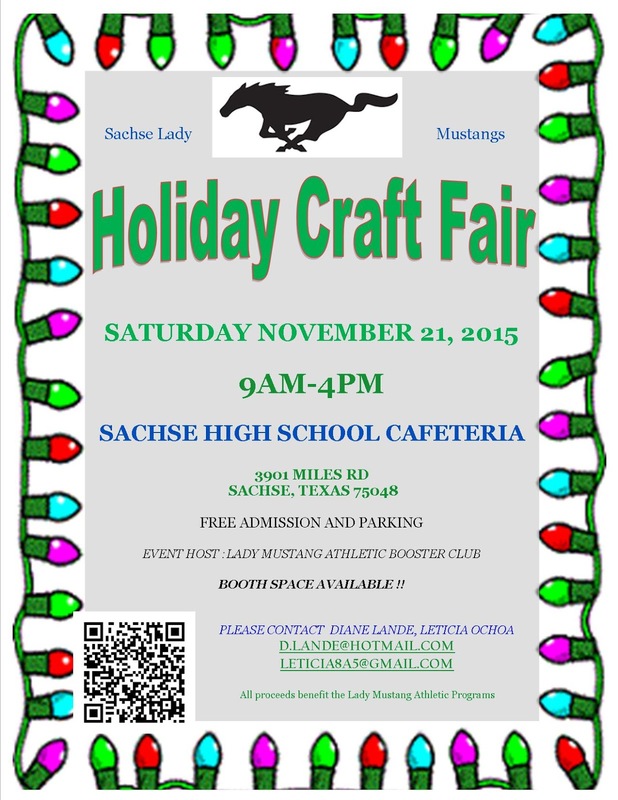 "Craft fair is November 21st. From 9-4. At Sachse High School." 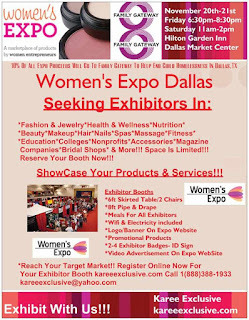 "The Karee Exclusive's Women's Expo is an Exhibition of the latest products and services for women in fashion, beauty, health, nutrition, fitness, financial planning, careers, home, education and more. Fashion, Health, Beauty, Education, Colleges, Makeup, Hair, Jewelry, Nails, Nutrition, Fitness, Spas, Massage, Accessories, Purses, Nonprofits, Magazine Companies, Bridal Shops, & More!" Applications are available here and are due by November 25, 2015. For more information, visit their website or contact their event coordinator at KennedaleBandBooster@gmail.com / Sarah - sarahaturner@hotmail.com. This event is not accepting vendors at this time. For more information, visit their website or contact their event coordinator at benefit@bioninedesigns.com.